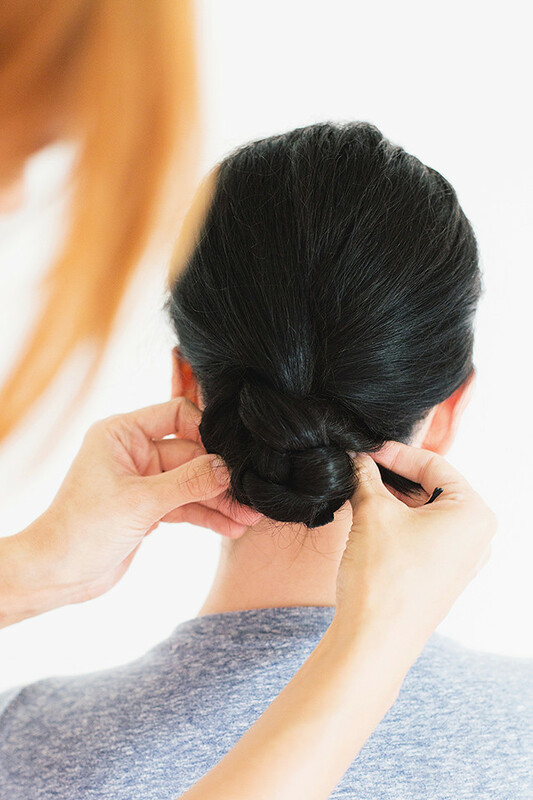 This 5-Minute Braided Bun (above) is a fun spin on a traditional bun! I also shared two different styles for Emma's medium-length hair. 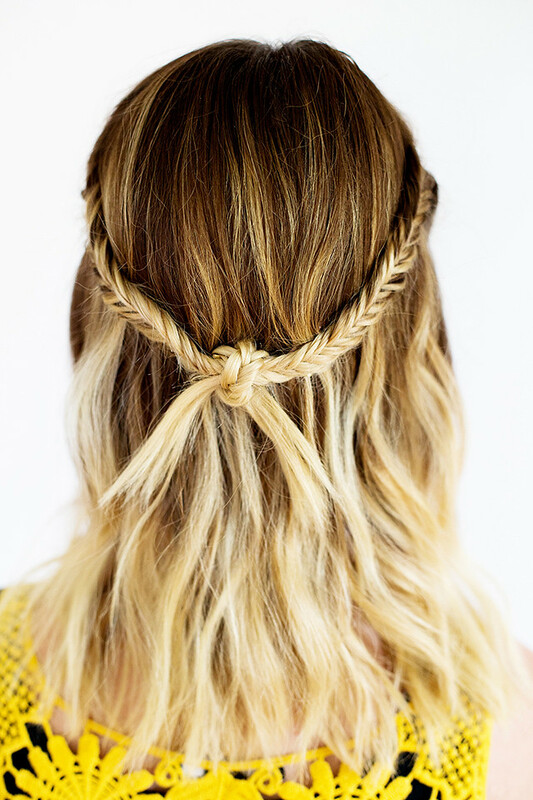 The Bohemian Festival Knot Braid and the Tucked Braid Updo. 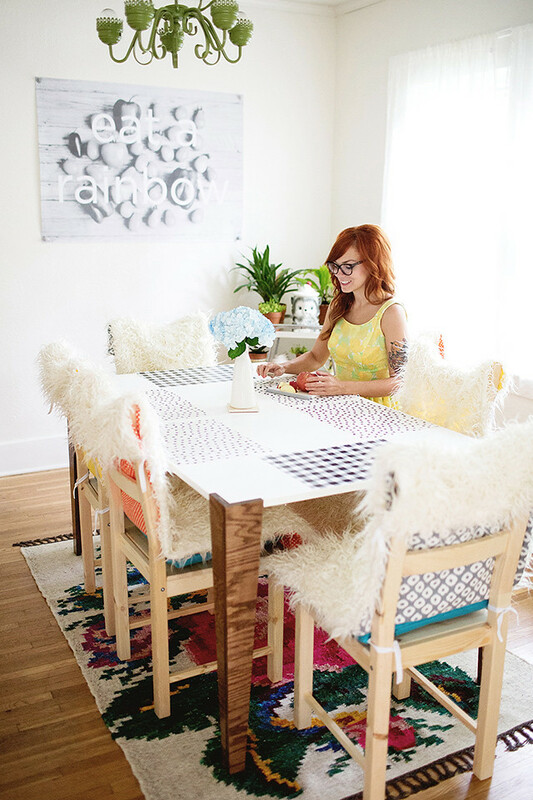 I shared a little bit about our dining room makeover and how to make your own DIY Faux Fur Chair Covers and Vinyl Cushions. And, last but not least, I shared a breezy way to update tshirts for the summer with this Twist-Back Top DIY! 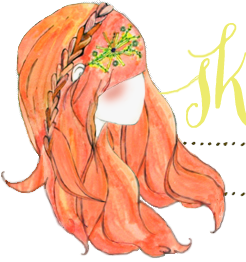 I have a lot more fun tips and tutorials coming up this month over on ABM and I can't wait to share them all with you! Happy Tuesday, friends! xo. Loving the tucked braid, very cute. Love these!! I often do a variation of the braided bun in a half-up/half down style. I pull the top and sides of my hair back into a braid and then twirl it into a bun. My hair is curly/wavy and this helps tame things a bit, while still mostly wearing it down. I always love your tips on ABM. Thanks for sharing Katie! 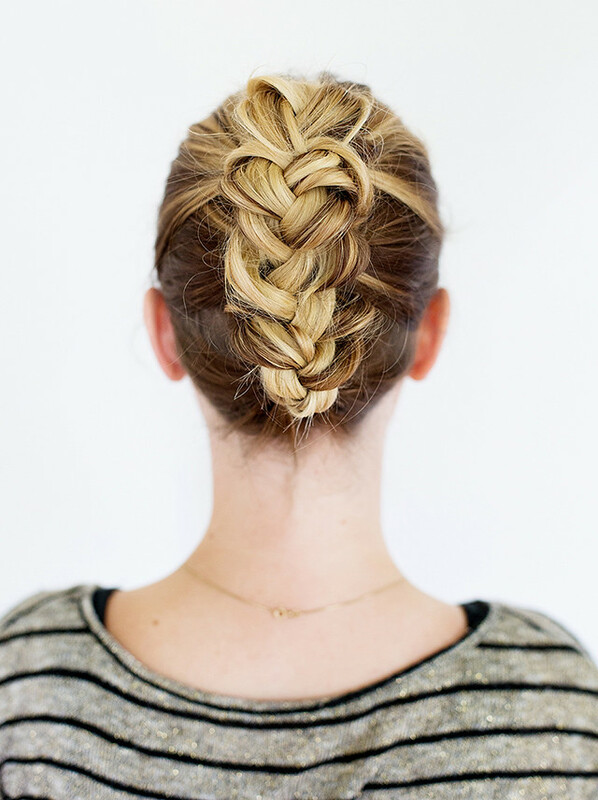 Love the tucked in french braid! I'll have to try that out. It'll soon be spring here in Australia and I've been liking pulling my hair back. I have pixie hair - like three inches long. So I wanted to just scroll past those hair photos, but they were lovely, and I couldn't. Also, much as I like those chair covers, I really want to know how that amazing looking table came about! And mmm how to say this... 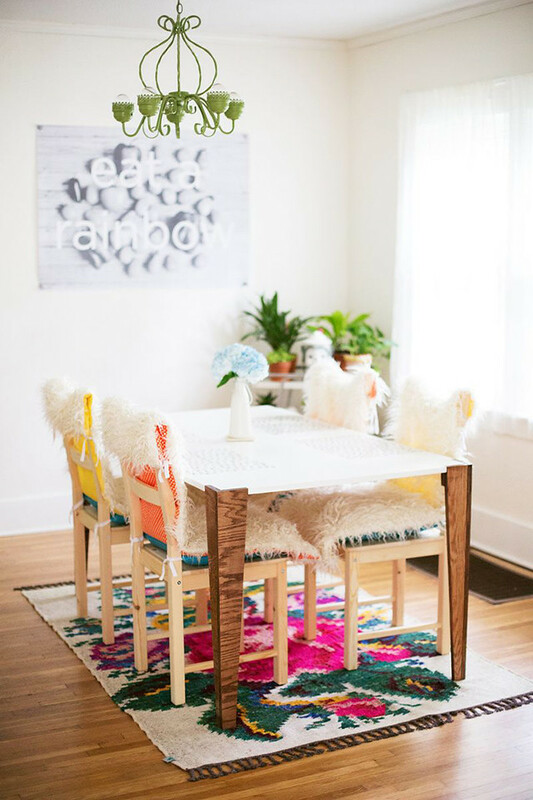 I'm a little surprised by the seemingly mismatched colors in the dining room. The rug - dark floral. The chairs - bright. The wall hanging and table - black and white. But what surprises me more is how much I like it, and how, when colors like that are used confidently, they makes themselves more beautiful. And one day I'll learn how to say things less awkwardly, I hope. I love the last one!You are so creative! Kisses from Spain! !